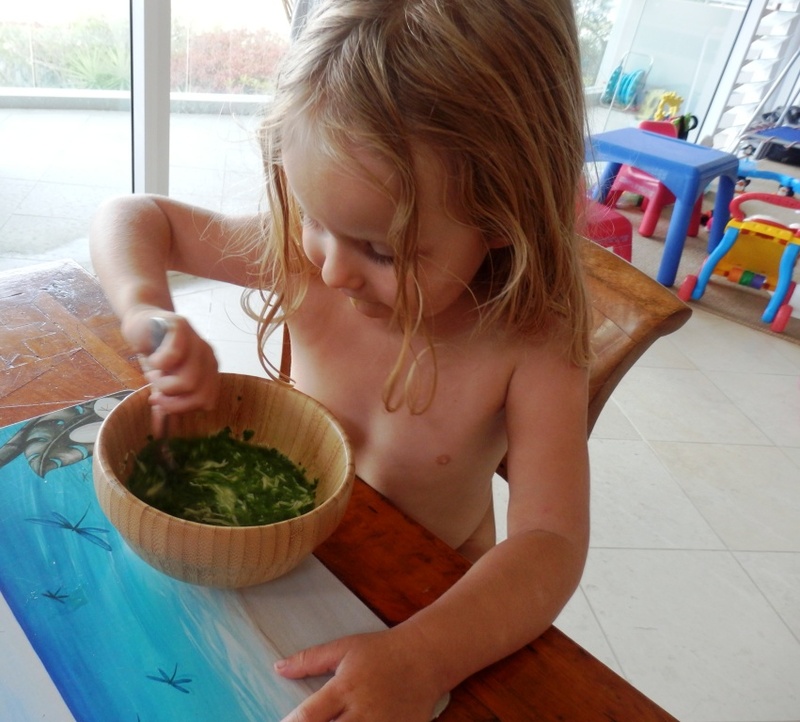 I have recently written an article for Raw Food Recipes website mainly about the most important nutrients to watch while having small kids on raw foods. In addition to this informative article, I would like to mention the importance of vitamin K2 as this vitamin is not as well known as the others however plays an important role in an appropriate child development and growth as well as prevention of tooth cavities, facial deformities etc. In general, a group of vitamins K is a group of fat-soluble vitamins which is stored in a body for a short period hence we need to ensure it’s regular intake. Human body needs vitamin K for complete synthesis of certain proteins that are required for blood coagulation, and also certain proteins that the body uses to manipulate binding of calcium in bones and other tissues. Vitamin K2 is converted from vitamin K1 by bacteria in intestines. Human’s intestines do this not as effectively as ruminants so we cannot rely on it. As I mentioned above, there are two forms of vitamin K: K1 and K2. Vitamin K1 can be found in leafy green vegetables as well as algae and grasses (no problem if you are a raw vegan). K2 can be found in egg yolk, butter made from grass-fed animals, in some cheeses and organ meat. If you are a vegan then you can find K2 in fermented foods such as natto (fermented soy beans) and sauerkraut (fermented cabbage – click HERE to see the recipe). We are not a big fans of soy and don’t eat sauerkraut regularly enough to ensure enough of vitamin K2 so we prefer eating organic eggs which we get from either our neighbours or local organic markets, algae and drink green smoothies and juices. If you have a raw vegan child, please ensure adequate K2 intake as he may develop teeth and bone problems as he grows. In addition, Vitamin K2 (Menaquinones) is a group name for a family of related compounds, generally subdivided into short-chain menaquinones (with MK-4 as the most important member) and the long-chain menaquinones, of which MK-7, MK-8 and MK-9 are nutritionally the most recognized. Vitamin K2 engages with vitamin D, and you need both in adequate amounts for optimal health. If our bodies don’t have enough of vitamin K2, cavities in teeth, facial deformities and stunted growth may occur as well as gastro-intestinal bleeding, easy bruising and other similar haemophiliac symptoms. How to get enough (for vegetarians and vegans) ? In 2012, Canadian health writer Kate Rhéaume-Bleue suggested the Recommended Daily Allowance (RDA) for K vitamins (range of 80-120 mcg) might be too low (Reference: Kate Rhéaume-Bleue, Vitamin K2 and the Calcium Paradox. Mississaugua: Wiley, 2012, p. 74). Dr. Mercola suggests 150 mcg per day. In case you supplement, you must be careful on the higher doses if you take anticoagulants, but if you are generally healthy and not on these types of medications there is no risk of overdose. There is no RDA for children as I’m aware, but I would make sure that a 4 year old intake is at least 60 mcg per day. I recommend a green juice every day (to ensure K1 intake), eating algae very often as there should be some vitamin K2 conversions from these foods. If you are not vegans than eggs and cheese are a good sources too. Natto (as the best source of vitamin K2) is not raw so if you are raw vegans, raw sauerkraut would be a good source for you. If you want to supplement K2 I would recommend Dr. Mercola’s vitamin K2 (MK-7, 150 mcg in one capsule made from fermented chickpea extract). If using for a child, you can open the capsule and add the powder into water.